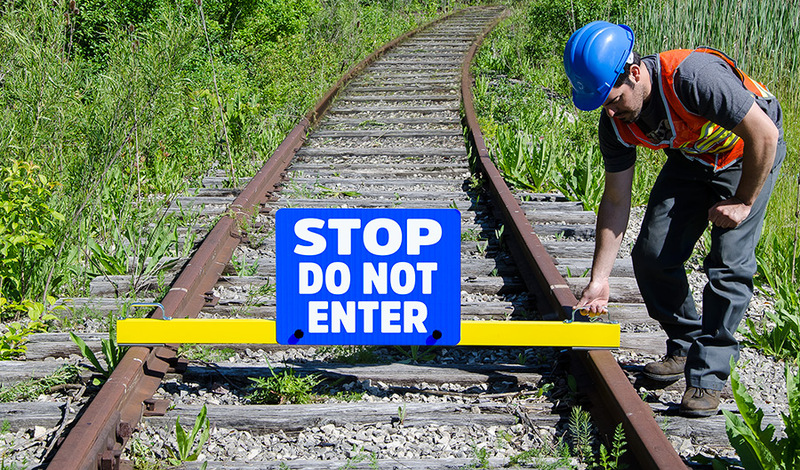 Get the attention of anyone approaching a section of track that must be kept "off limits" temporarily, for track repairs or unloading of hazardous materials, etc. 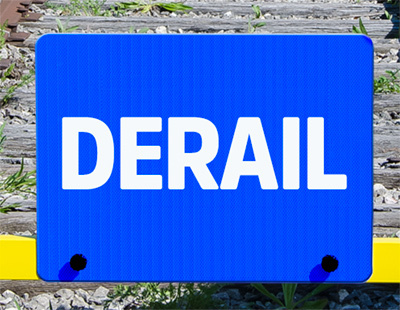 Give advance warning of a derail. 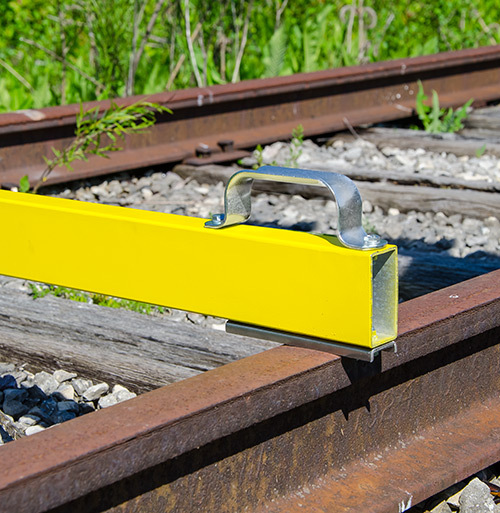 Rectangular aluminum tube has powerful rare earth magnets at each end that grip the rail surfaces. Will withstand 60 mph wind pressure against sign plate. Sign plate (18" x 24" aluminum) is big enough to be seen at a good distance. Aluminum holder is not insulated. If insulated version needed, we can supply a fiberglass tube instead. 24" wide by 18" tall .080" Engineer Grade reflectorized aluminum sign plate (two standard wordings). 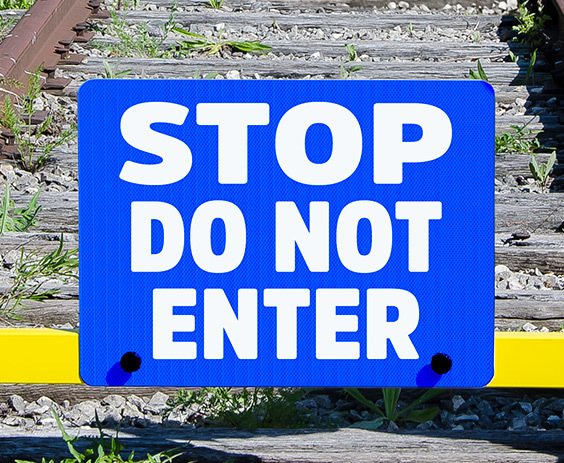 Barrier bar and sign plate are each sold separately.